From Paving roads to driveways to making sure the water on your property drains correctly, Egg Lake Quarry has you covered! Check out all our various Rock Material! Sourced and manufactured locally on San Juan Island! Need a medium to grow your garden in? Need to grow a lawn for your front yard? No Problem! We have multiple soils that will work perfectly for your Lawn & Garden! Cascadian Soil's Recycled Green Waste Compost to Native Island Soil! We have it all! Landscaping just isn't the same without Boulders. From Rip-Rap walls to property boundaries, nothing says "finished" quite like monolithic stones. Here at Egg Lake Quarry, we are your one stop for these beautiful pieces of "Earth Art." With over 60 years of combined experience and literally THOUSANDS of jobs performed all across San Juan Island, Williams Enterprises is known for it's fast, friendly and exceptionally clean work. We have all the equipment and experience necessary to tackle any project, whatever the size may be. From a small driveway extension to an entire design and installation of a Septic system, Williams Enterprises can make it happen with your schedule in mind! Building a new House or Vacation Rental? We can help you step by step through designing, building and paving of the road or driveway. We can help you remove any unwanted Tree's or Vegetation from the site, which can be used to create Organic Recycled compost! Excavate your site so it's ready to be built upon. 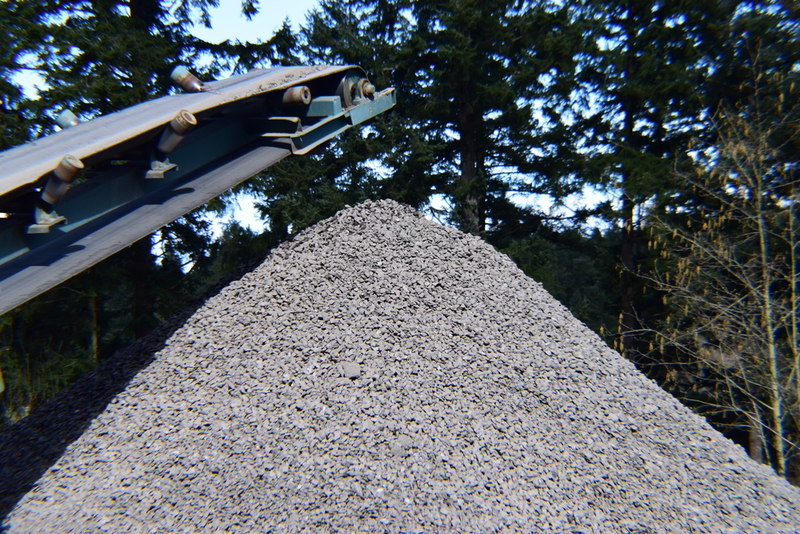 Design, Dig and install your septic system and finally landscape and finish your new property with our Cascadian Soil's and Egg Lake Blue Crushed Rock and Boulders! Here at Egg Lake Quarry, we like to think locally. This means that all of our employees, all of our products and all of our manufacturing are from or take place right here on San Juan Island. We believe that thinking locally empowers the community in which we support, stimulating it economically. We aren't just a company that serves a "sales area." We are members of the community we serve. From our neighbors driveway to yours, every project we work on becomes a function of serving our neighbors. This is the Egg Lake Quarry way of doing things. Support your local businesses and support other Islanders! Since all of our materials are sourced, manufactured and delivered locally, this also means we help sustain our environment due to never needing to transport large amounts of materials across the country. This not only saves on limited resources like gasoline and oil, but also ends up saving on the cost to due business. This cost savings is directly passed down to our customers, giving them the absolute best price possible. When choosing to do business with any company, we take a moment to think "is this business going to support our community?"